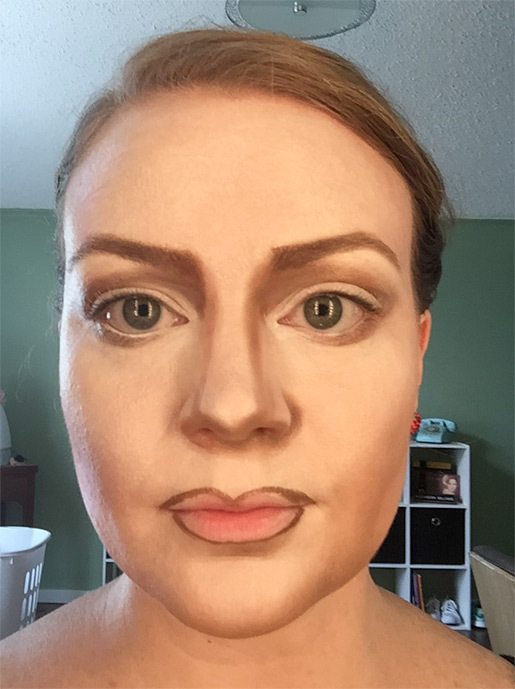 It has been a really long time since I've posted a tutorial. I hoping that the upcoming Halloween holiday will inspire me to start back up. 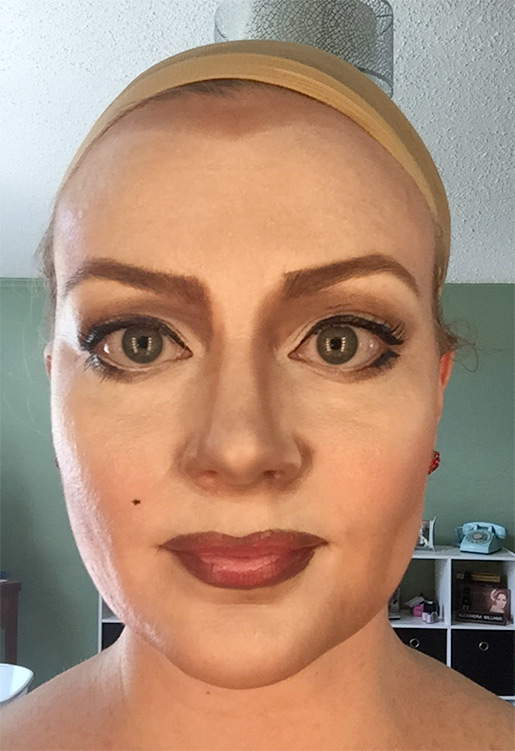 If you have any ideas for tutorials that you would like to see, email me at ali@redroosterdesign.com. 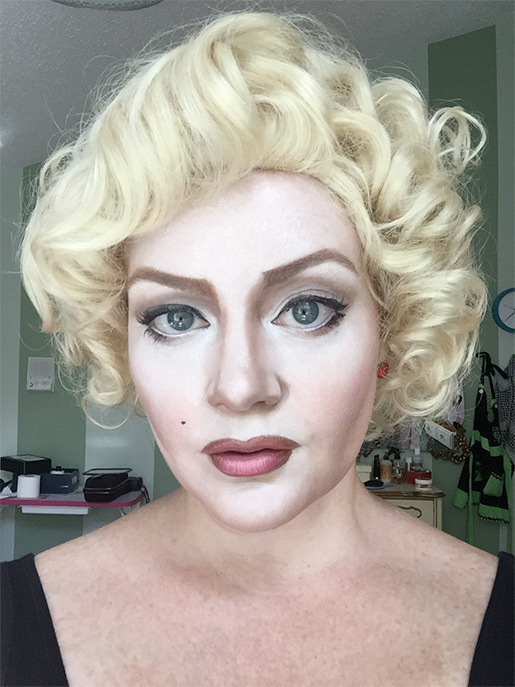 So to start, here is a Marilyn Monroe tutorial because she is one of my favorite vintage inspirations and I've actually never been her for Halloween. 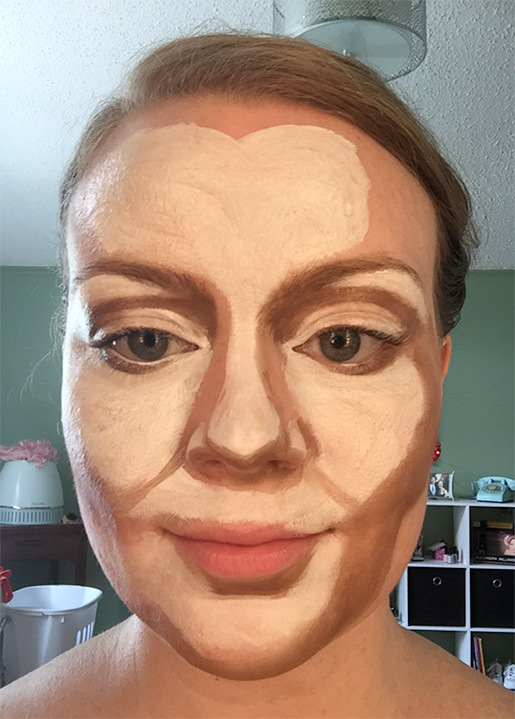 I started with a black and white photo of Marilyn, but I wanted to make this look more severe to really emphasize all of her famous features and because it's for Halloween. 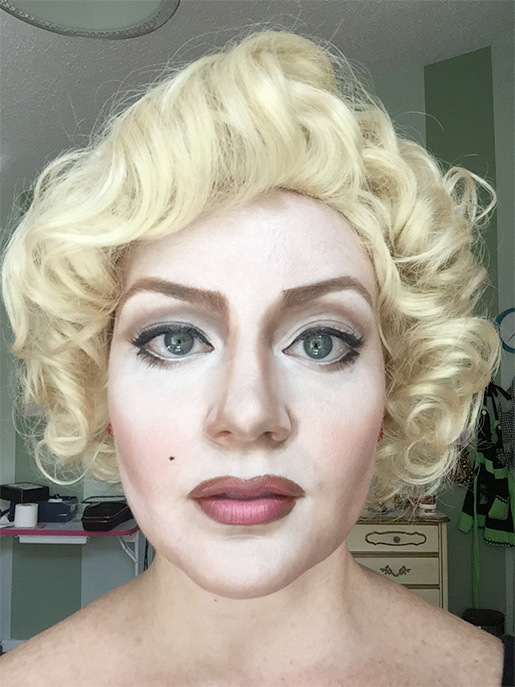 It's a bit of a mix between a regular Marilyn makeup and and a pop art Marylin with muted colors. Marilyn photo used for reference. 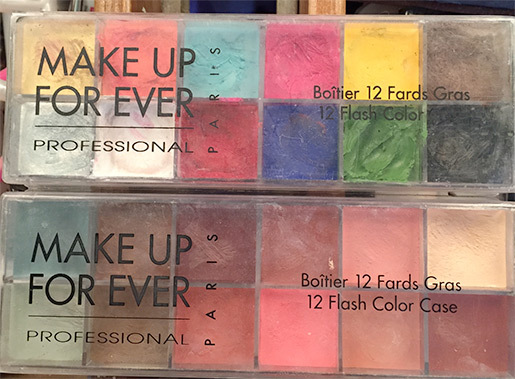 I used my Make Up For Ever Flash Palettes. 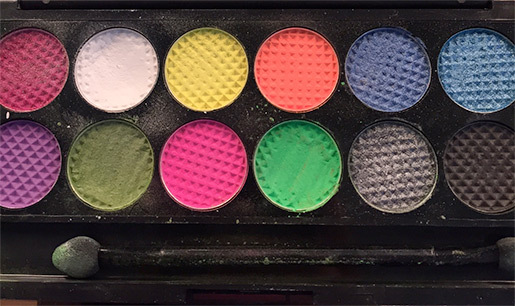 They are creams so they blend easily and they are very pigmented. I started by adding the highlights. I just roughly applied them using a flat brush. 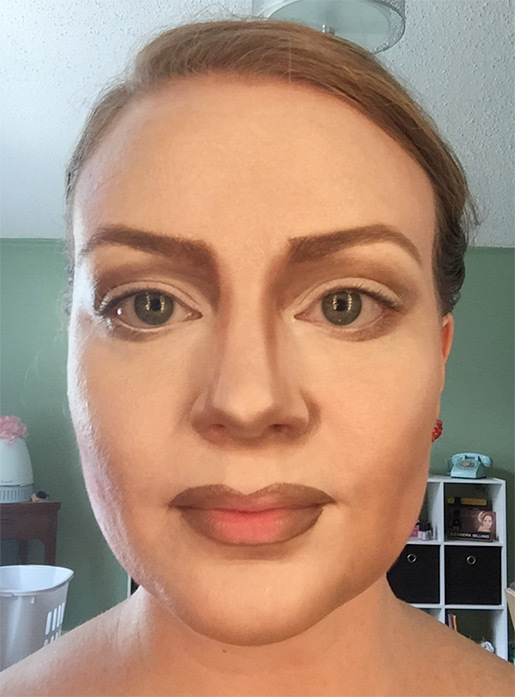 Then I added the shadows using browns. I used the photograph as a reference as to where to put the shadows and highlights. 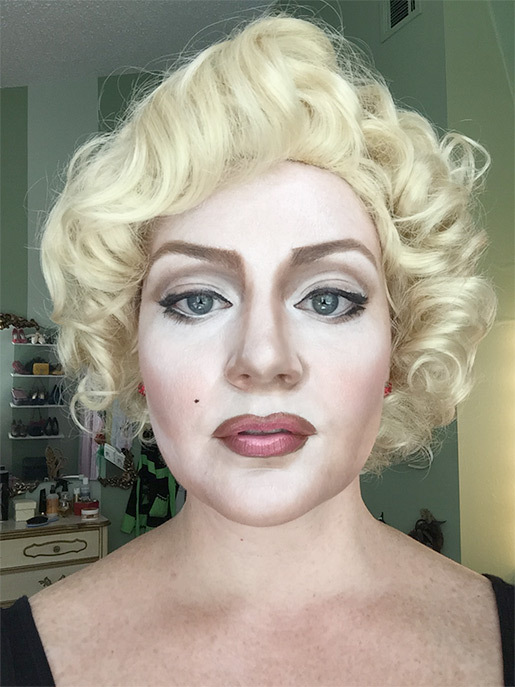 Marilyn was known for her bedroom eyes and that's achieved with the defined shadows and highlights. 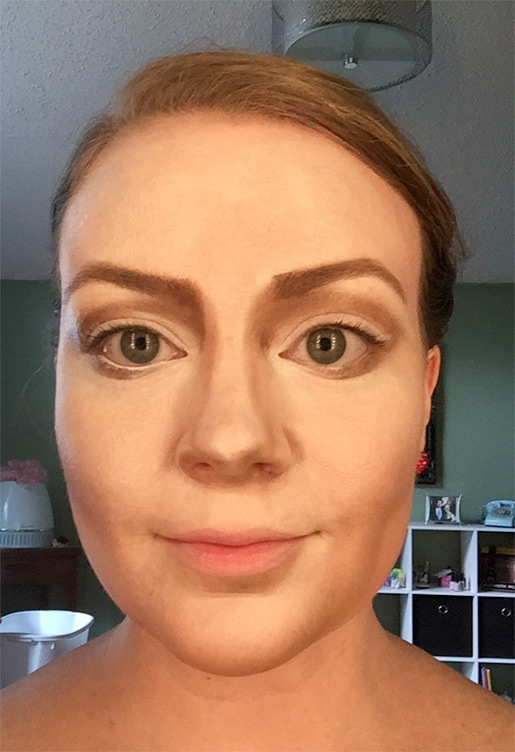 I then added the signature arched eyebrows. They are pointy and thicker at the points. 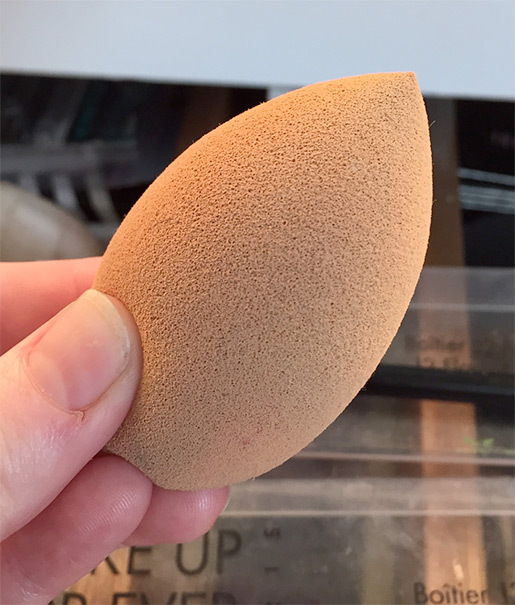 I then blended the face with a blending sponge by patting the areas lightly. 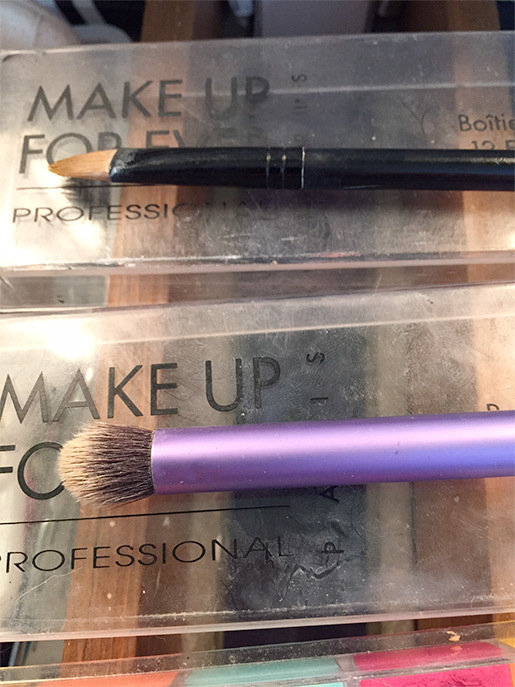 Then I used a smaller brush to blend around the eyes. 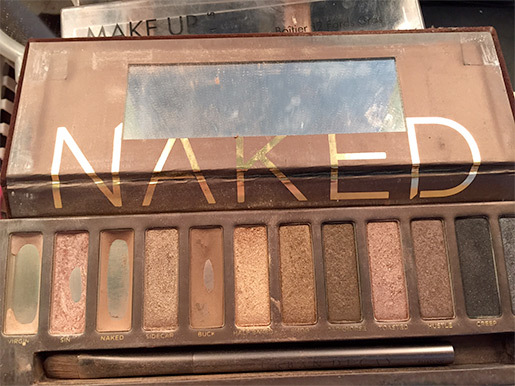 Next, I went over the brown areas with a brown eye shadow from my naked palette to set it. 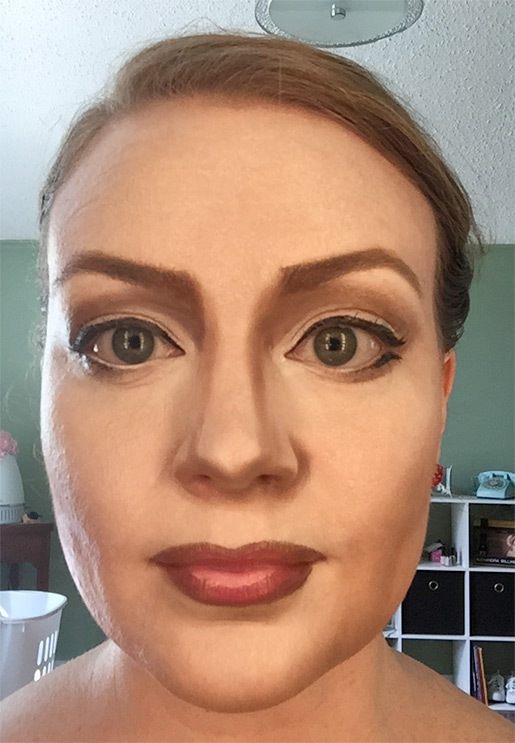 I also went over the highlights with a white eye shadow to set it and even it out. 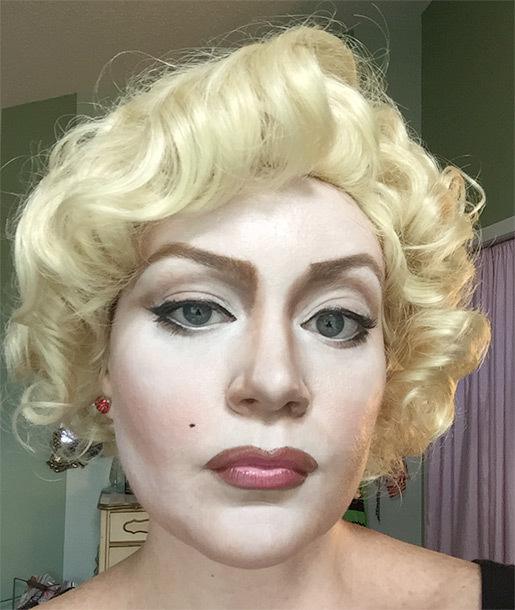 Then it was time for the signature Marilyn lips. Her lips have a big bow and are red. 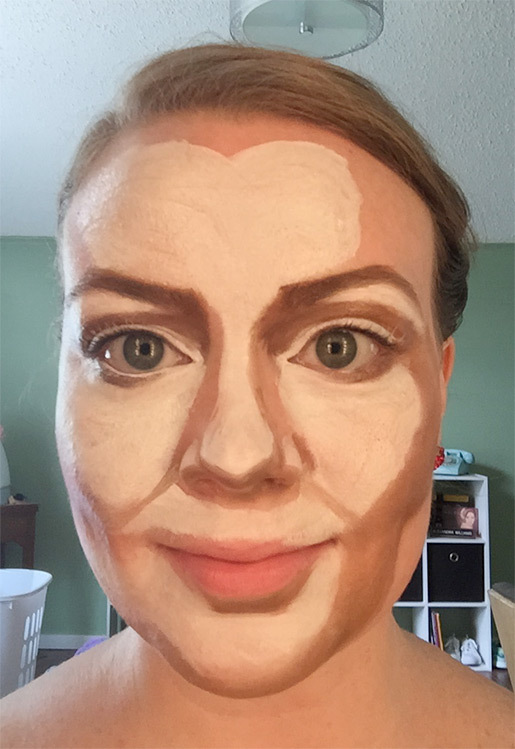 I used the same brown cream that I used on my face to outline the lips. 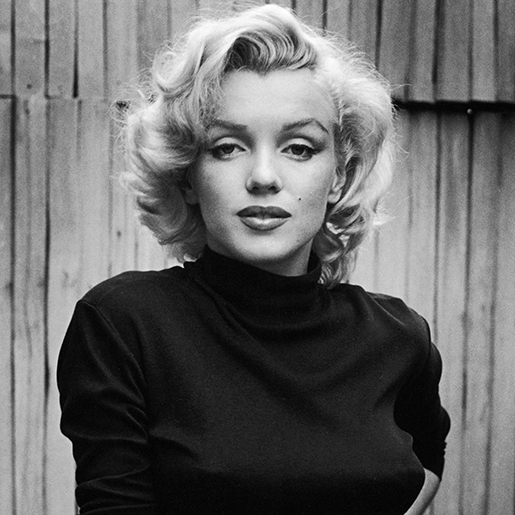 Marilyn actually used many shades of red to create her dramatic dimensional lip. 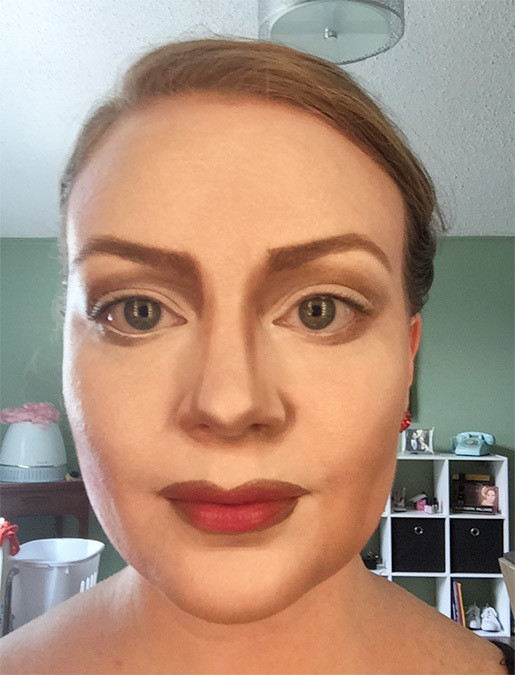 After I blended the lips I added different shades of red and pink to the center and finished it off with a dramatic white highlight on the bottom center lip. Finally, I added eyeliner. You don't have to be super precise. If you look at photos of Marilyn, you can see that her eyeliner has a bit of an angle down on the ends and she usually had liner on the outside bottom of her eye to create that droopy shadow. The look wouldn't be complete without her signature beauty mark and her blonde hair. Here is the final look. 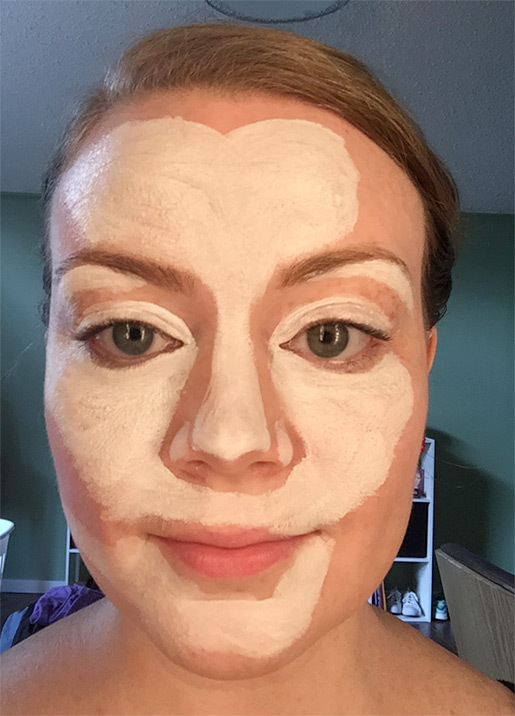 If I were really wearing this out, I would have also applied makeup to my neck to make it match my face.